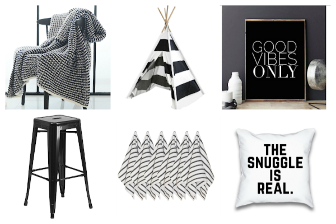 22 Black and White Home Decor Pieces You'll Love! I love the look of black and white together! Do you swoon over it as much as I do? 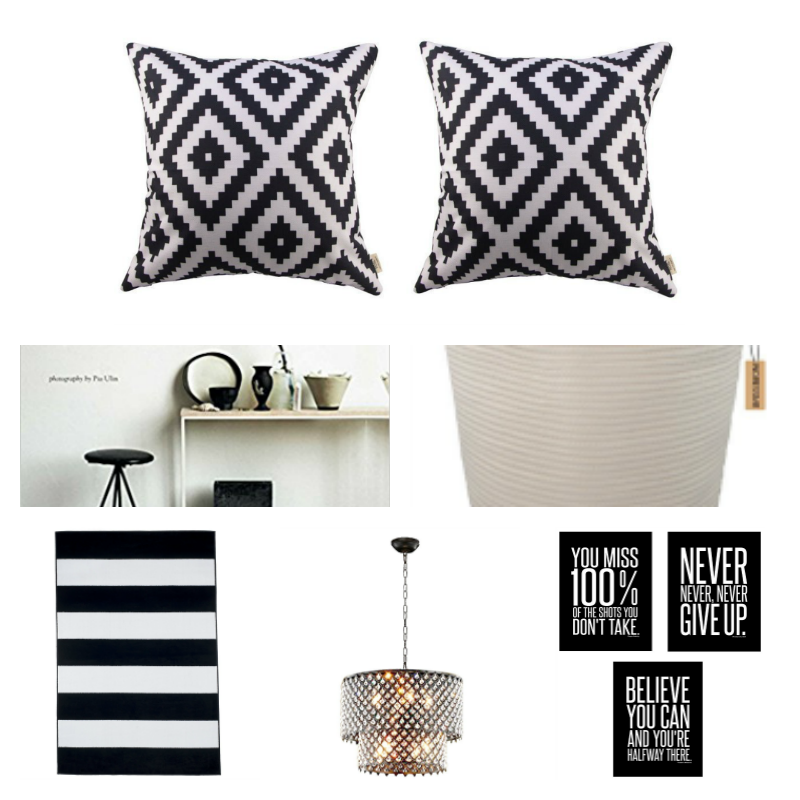 Black and white home decor- patterns, stripes, and accessories in black & white contrasting colors always catches my eye! 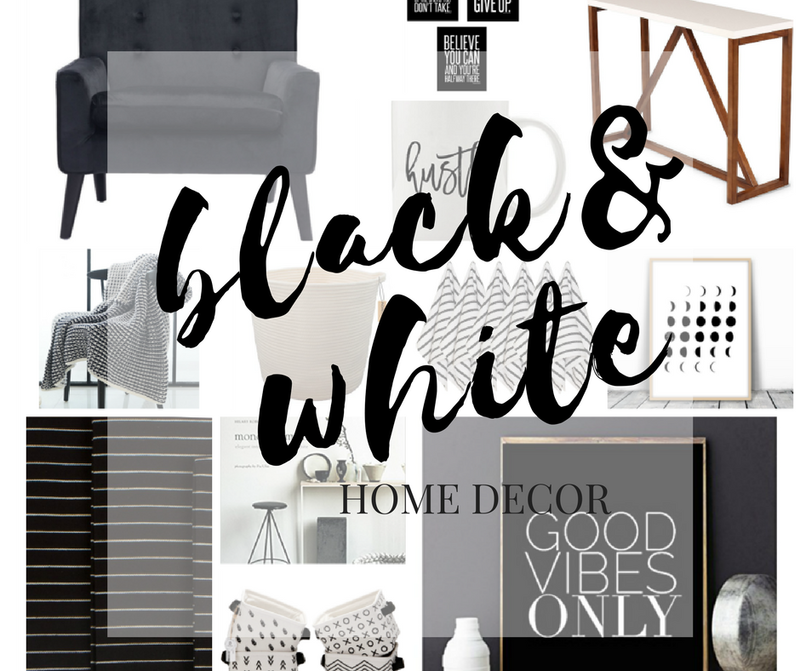 In this post, you will find 22 beautiful AND budget friendly Black and White Decor Accent Pieces that you can mix and match to add some pizazz and style to YOUR own home! Black has always been one of my favorite colors. I wear it ALOT. ;) In fact, if you took a peak inside of my closet, you would see it full with all things black, grey and white! Who's with me!? Do you have a closet full of neutral colored clothing too? If so, boy we're going to become fast friends! 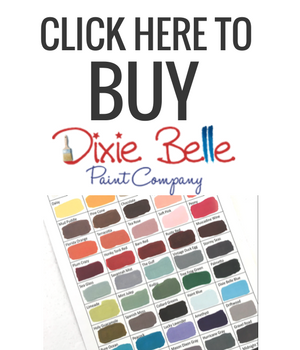 Disclaimer: This post may contain affiliate links to products I love and use everyday. This means that I receive a small commission for purchases that are made through these links. Please read our disclosure for more info. My fetish for black & white doesn't stop at clothes. It spills over into home decor too! Decorating in black and white creates a clean and fresh looking palette, offers bold contrasts AND compliments a variety of farmhouse, minimalist, and modern interior design styles! It's so versatile! 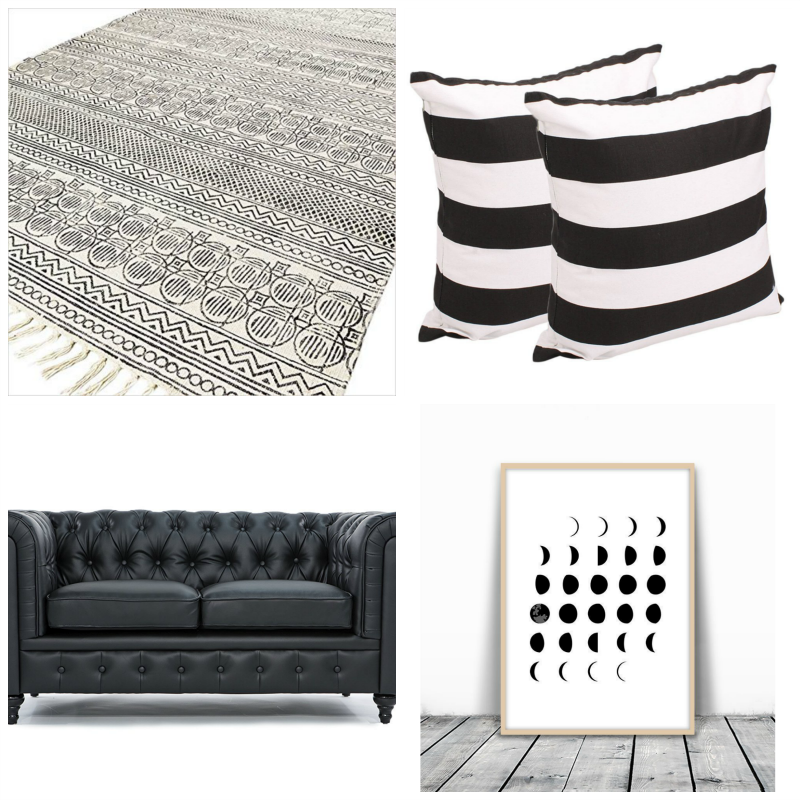 Which one of these black and white home decor pieces is your favorite? 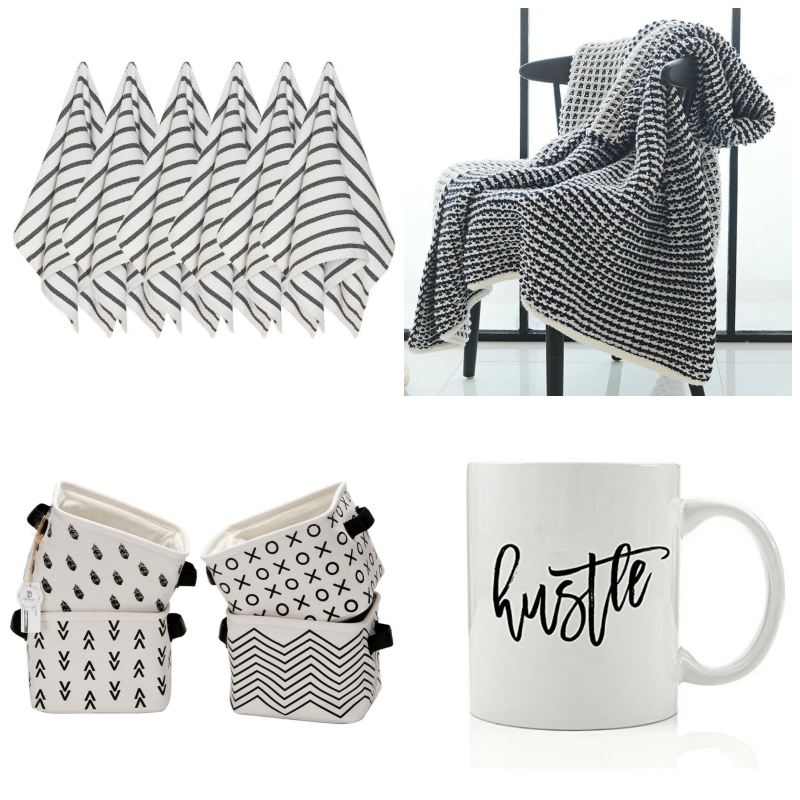 The black and white knit blanket and the Hustle Mug are two of mine! And that black & white striped tepee? How much fun would that be for a child to play in!? 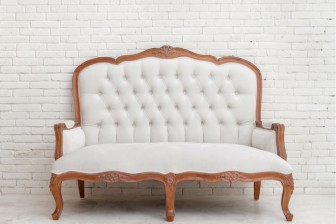 In no particular order, here are 22 budget friendly Black and White Home Decor Pieces That You'll Love! 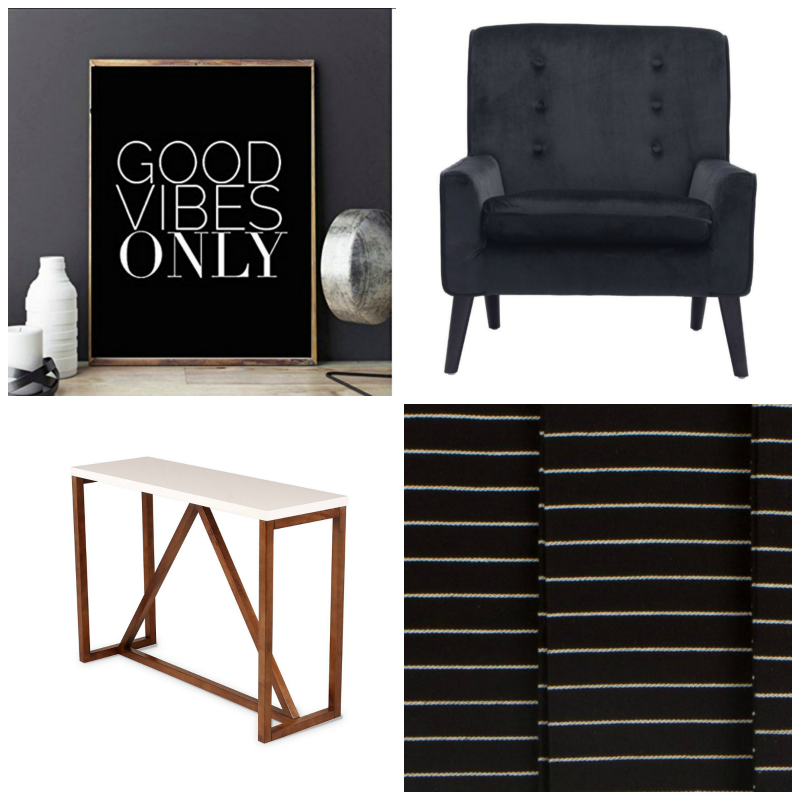 All of the following black and white home accessories have been curated by me and contain affiliate links. Click the links underneath each photo to to find out more information about that item! 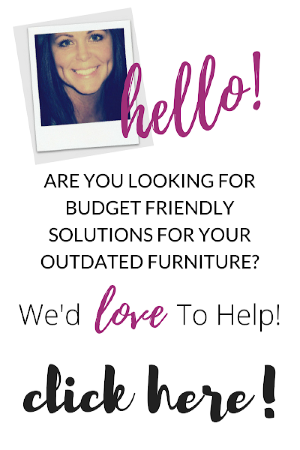 Sign Up HERE for our weekly newsletter so you get FREE ACCESS to our library of furniture tutorials, additional tips & tricks and notice of the best DEALS on home decor items! Before you go, check out this fabulous black and white interior decorating book by Hilary Robertson called, "Monochrome Home: Elegant Interiors in Black and White", it's an incredible interior design book that teaches you how to decorate your home using a black and white color palette to create a dramatic effect for your home! 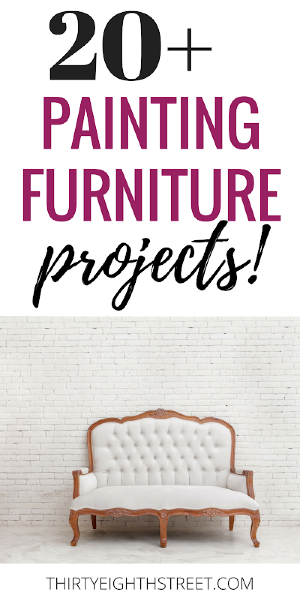 If you need some guidance on interior decorating and a place to start, then this is the book for you! 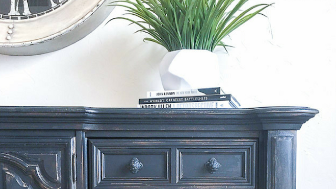 Have you seen this black and white desk makeover that looks a little bit like art? If not, it's definitely worth a look! I would love to hear whether or not you would attempt to paint your own furniture with this technique? Yes or no way... either way, spill it! 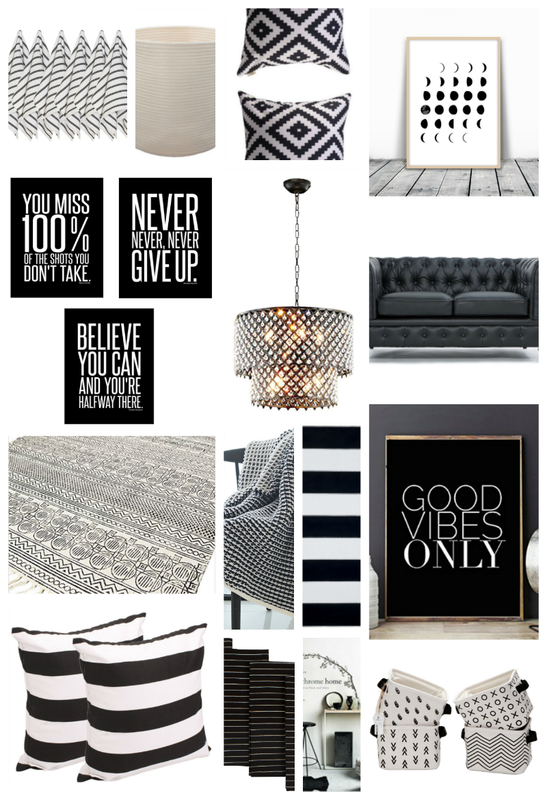 If you liked this curated black and white decor items, please share it on Pinterest or Facebook. 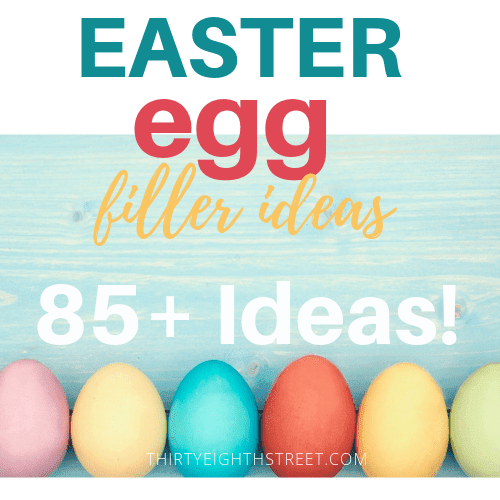 (This helps us know what kind of posts you'd like to see more of!) If color is more your style, you might like these fantastic Colorful Budget Friendly Bohemian Throw Pillows! 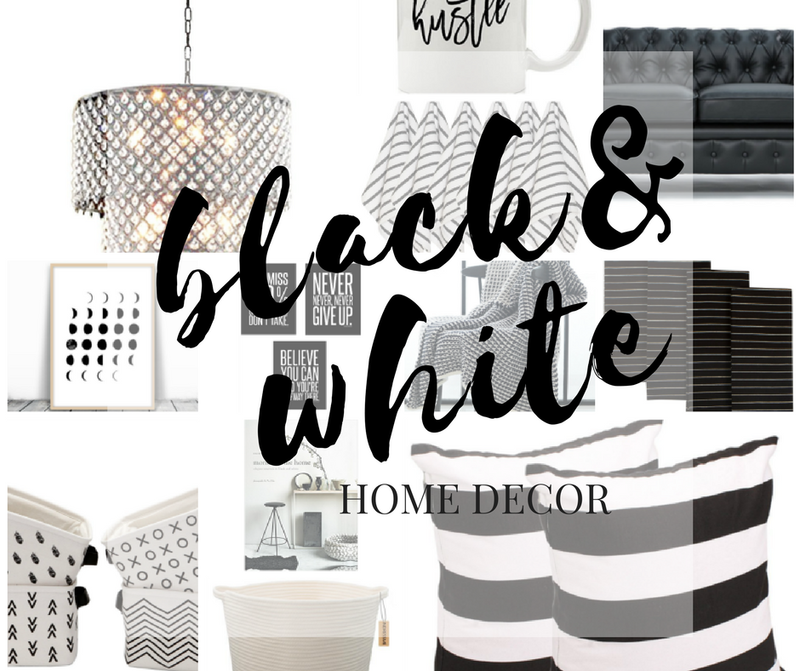 Happy browsing black and white decor fans! 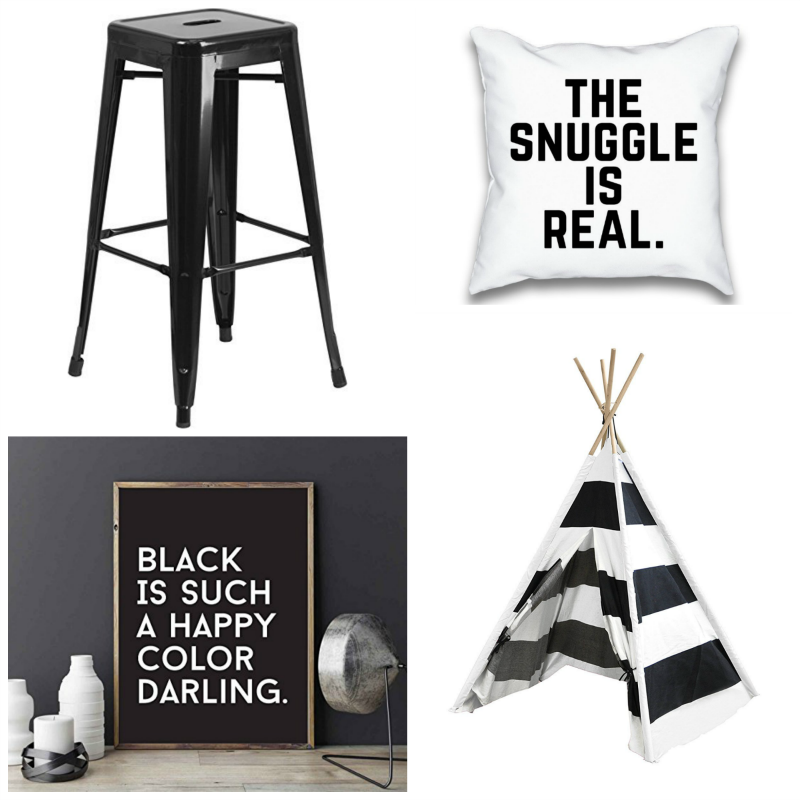 The Snuggle is Real :D love it Carrie, and all the other pretty black and white decor you gathered together. Isn't that pillow adorable?! I love it too!